Behind the Screen. 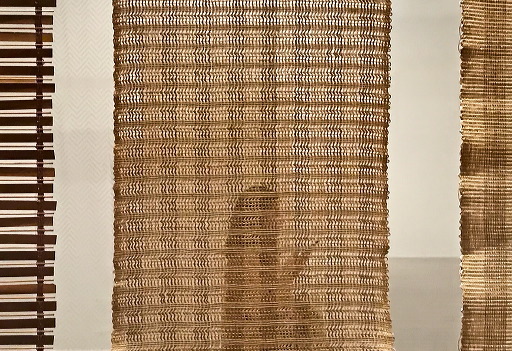 An iPhone photo taken in the Anni Albers exhibition at Tate Modern, as a lady consulted her own smartphone on the other side of a 'textile panel' – a prototype for an architectural divider. Once again I am amazed at the technical quality of the original image from this tiny camera, not to mention the lack of camera shake of the 1/11sec exposure. Verticals corrected in post processing, and a slight crop to equalise the width of the panels at the sides.